Home / Uncategorized / Horse Wash (People Too) Goat Milk Soap – 6.2 ozs. 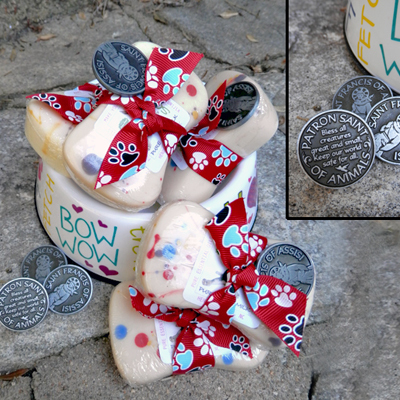 One of our Signature Soaps and it’s a favorite! 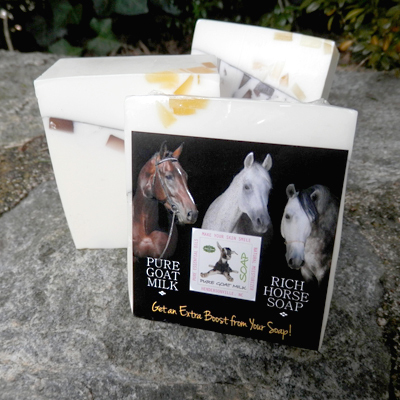 Don’t let the name confuse you, this soap is a great one for people and horses. 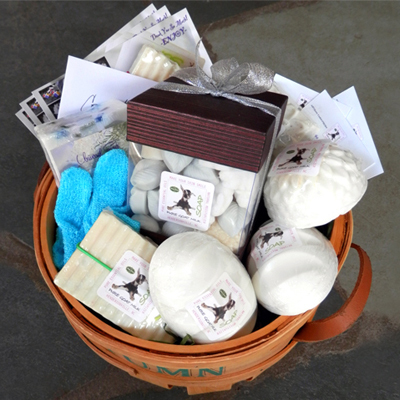 It was created as a custom soap for the Tryon International Equestrian Center Tack Shop originally, thus the special name. The formula is just as rich, moisturizing and healing as all our other soaps, plus it has “optimal conditioning” biofeedback frequencies. 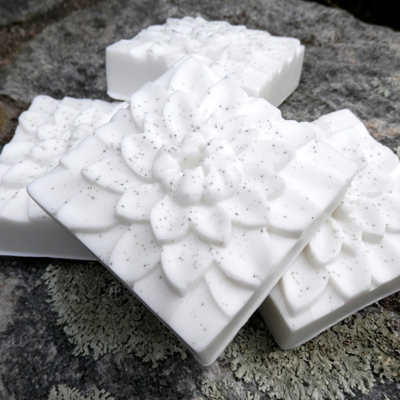 It’s all-over healing soap to take up where our other energized soaps leave off! All of our soaps thus far have energized qualities specific to certain desired outcomes, i.e., the GRAB-bar is to help with stress and the Mixed Flower Soap is for boosting energy (a Pick-Me-Up soap), now the Horse Wash Soap goes beyond these limits and helps with any mental, emotional, physical, energetic issues. How does it work? As an Advanced Quantum Biofeedback Therapist for over 10 years, I’ve witnessed my client’s sessions present a certain pattern of fundamental frequencies necessary to achieve improved health and wellness. These subtle frequencies have been combined in the Horse Wash Soap to provide support. So, if you wanted to relieve back pain, you would be able to focus your specific intent on removing back pain right before your bath/shower. 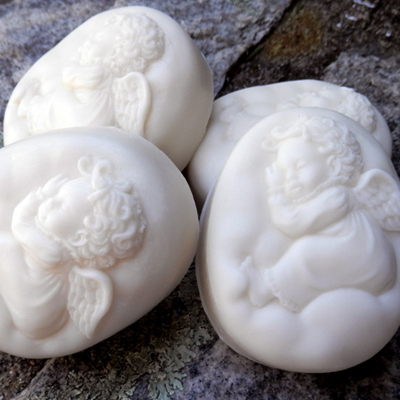 As you are using the soap and lathering up really good, the frequencies work to rebalance the pain. With each use, there is an accumulation effect that works for your benefit and better heath. It’s that easy! You will get results and improvement right away! 1. Focus your intent on ONE issue… be clear and specific, using only a couple words to identify it. Something like, “more energy” or “remove back pain” or “remove headache” or “remove depression” or any single item you want resolved. 2. With that clarity of focus, use the soap in a bath or shower. Make lots of lather and use the soap head to toe (not a quick shower, in other words). 3. If you need reinforcing or to clear up any residue surrounding your issue, you can lather up again at that time, and repeat. Then rinse. It’s okay to leave a little of the moisturizing soap on your body, so a light rinse works well too. You will feel refreshed and a silky moisturizing layer on your skin. This is when your skin smiles! 4. Repeat with a single issue over several baths to reinforce and help clear it. Deeper issues may need extra soap use to clear. Remember only pick ONE issue per use. 5. There is an ‘accumulation effect’ with each use, so the rebalancing builds on itself to help you each time.